Modernity and heritage are the key words. Acqua Brillante is the best partner for your favorite mix. The products range was conceived to stand out from the competitors on shelf and to be appreciated by a large and younger target of consumers. Our goal was to establish a new identity, which could have a strong position in the market, through a simple layout and the choice of an eye-catching color. The new visual identity fully reflects the strong bond between two Italian values, heritage and modernity, maintaining the elegance of an essential though glaring illustration and the vivacity of a modern graphic mood. 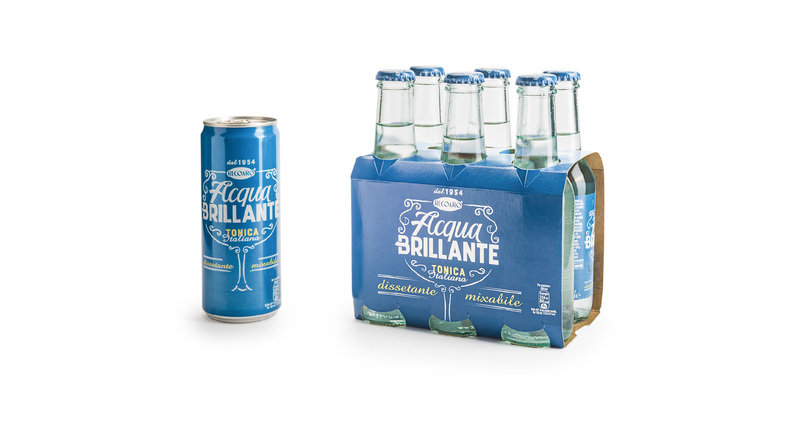 Tasted with just ice and a slice of lime, Acqua Brillante finds its best when it is mixed. Get ready to taste it!